Hateful optimists and loving pessimists Kat Angus and Jocelyn Geddie break down movies, TV shows, music, and whatever else that they totally despise… but also really adore at the same time. With the occasional confused special guest! IHIBILI everyone. Lovingly produced by the From Superheroes Network. 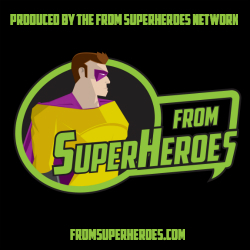 The From Superheroes network launched in 2012, and includes webcomic Texts From Superheroes, YouTube channel, Sketch From Superheroes, as well as three podcasts, Talk From Superheroes, where every week hosts Andrew and Diana dissect a superhero movie or TV show, The Villain Was Right where Craig and Rebecca explore if movie villains were really all that bad, and your favourite podcast I Hate It But I Love It. 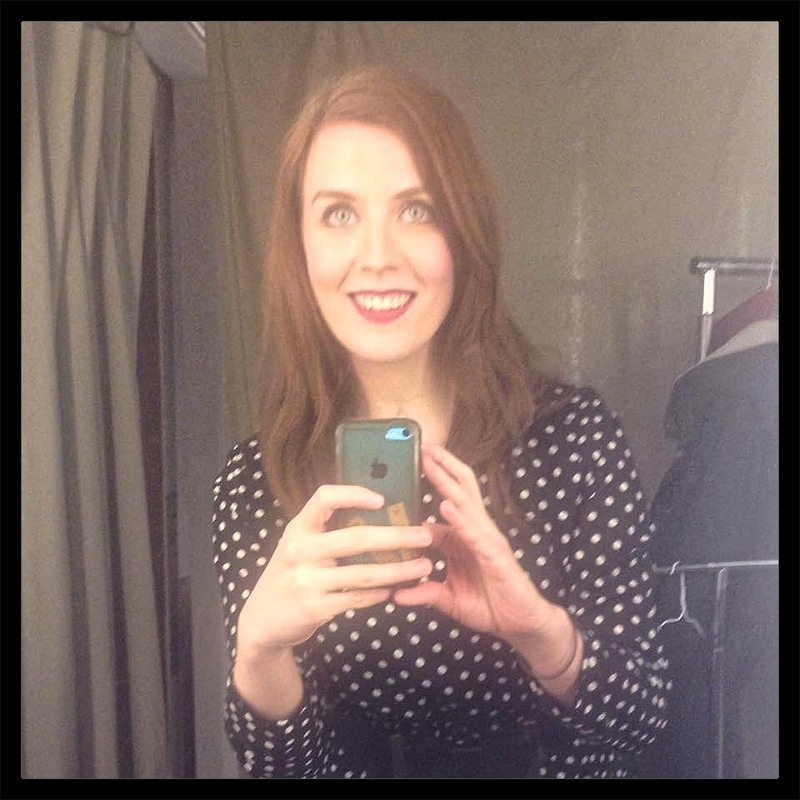 KAT ANGUS: A staff writer for BuzzFeed whose work has also appeared in the National Post, The Montreal Gazette, the Ottawa Citizen, Yahoo Canada, and The Loop. In her spare time, she likes to nap on her couch while her cat Moe sleeps on top of her head. 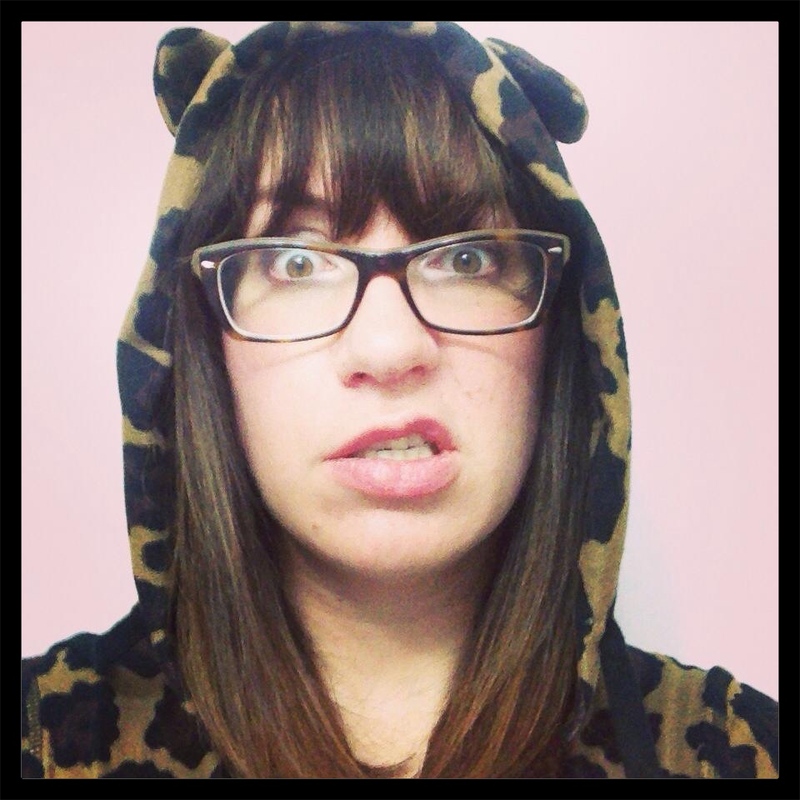 JOCELYN GEDDIE: A television writer and comedian. She is the former head writer of Sunday Night Live with the Sketchersons, a Canadian Comedy Award-winning weekly revue and flagship show of Toronto's Comedy Bar. When she's not writing or onstage making a damn fool of herself, you can find her in her kitchen trying to perfect her pizza recipe. 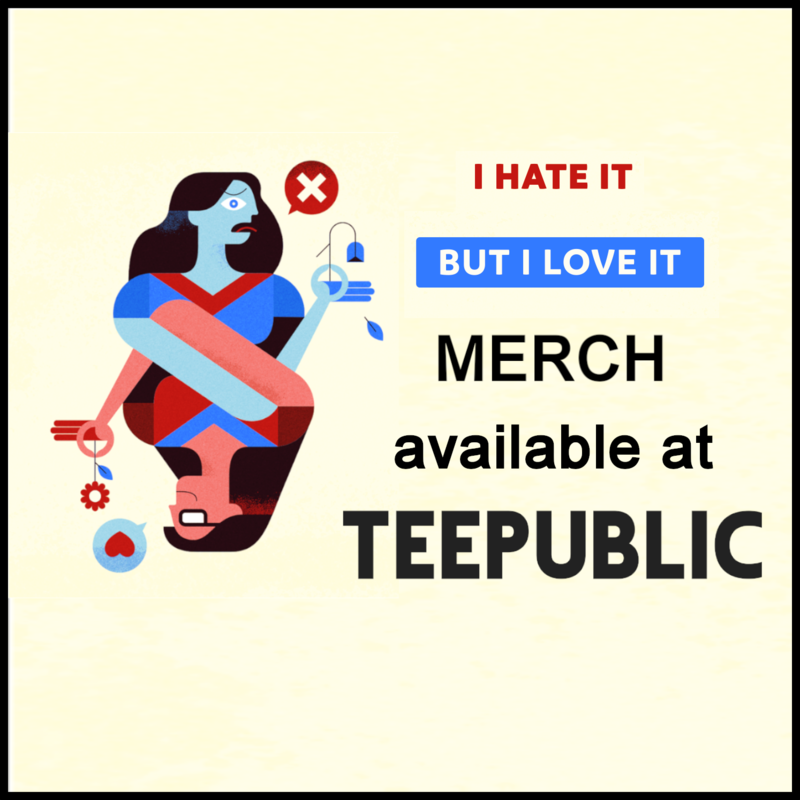 You can also support I Hate It But I Love It by shopping at our TeePublic Merch Store. We have show merch as well as tons of great products like premium t-shirts, hoodies, phone cases, stickers, and more. A purchase from our store also means that you're supporting an independent artist that created the design. Check us out and let us know what you think! Support I Hate It But I Love It by joining us on Patreon. Patreon is a monthly subscription platform that allows you to support the podcast and also get fun bonuses like EXCLUSIVE EPISODES! We're always going to keep the podcast free, and we're so grateful to everyone who listens. But with support from our patrons, we can pay for podcast production and promotion, produce some bonus episodes, create some more IHIBILI merch, and maybe one day even do some live episodes! With your help, we are one step closer to becoming podcast prom queens. P.S. Sorry, but you can't buy a ticket to F*ckville Island. You have to earn your way there.